Our solution automates menial tasks like serving food and water, so medical professionals can focus on the important human-necessary interactions. It uses a robotic delivery system which acts autonomously based on voice recognition demand. One robot is added to each hospital wing with a microphone available for patient use. Our product is efficient, increasing valuable life-saving time for medical professionals and patients alike, reducing wait-time for everyone. It prioritizes safety, really addressing the issue of burnout and dangerous levels of stress and tiredness that medical professionals face head on. Hospitals and medical facilities will see a huge boost in productivity because of the decreased stress and additional freed time. Our product integrates multiple hardware components seamlessly through different methods of connectivity. 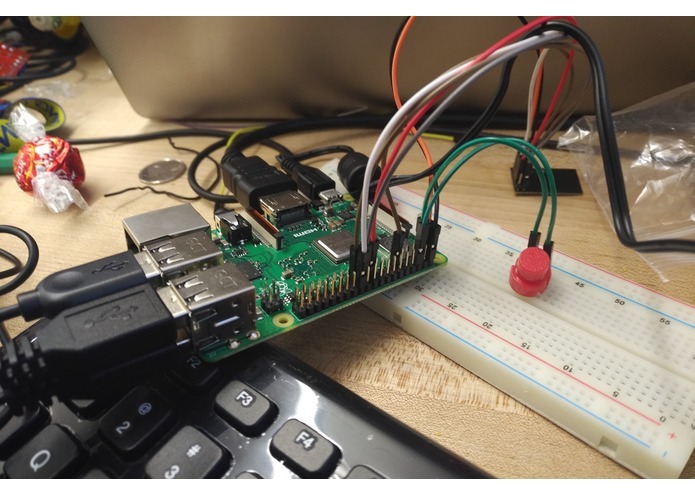 A Raspberry Pi drives the Google Natural Language Processing Libraries to analyze the user’s request at a simple button press as a user. Using radio communications, the robot is quickly notified of the request and begins retrieving the item, delivering it to the user. 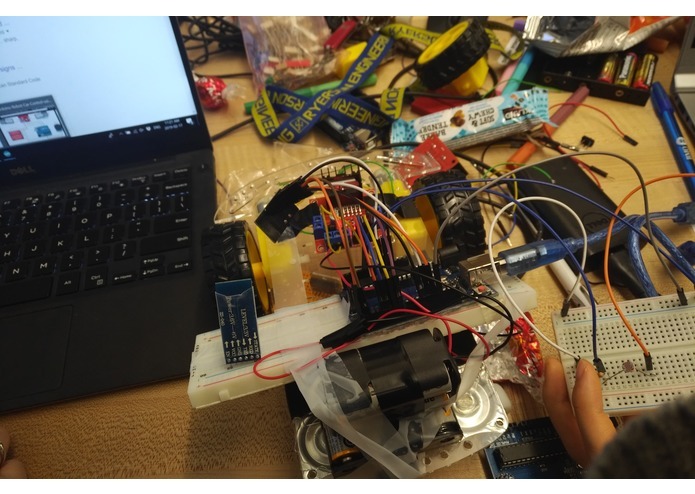 I established the speech recognition functionality using GCP, Python on RaspberryPi which enabled our robot to work on voice commands. Also worked on commands from RaspberryPi to Arduino via Bluetooth modules.